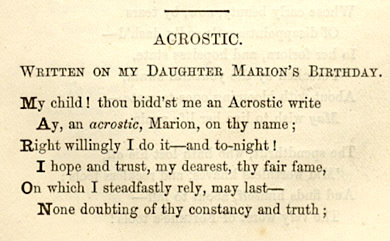 The acrostic poems above are to four of his older children: Hamlet, Werner, Marion and Ada Jane. 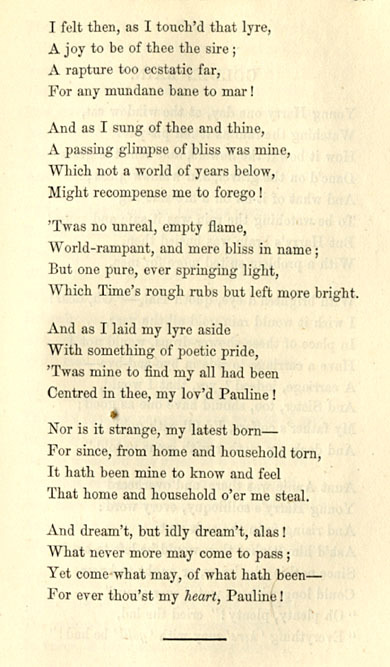 The longer poem below is to his youngest daughter, Pauline. 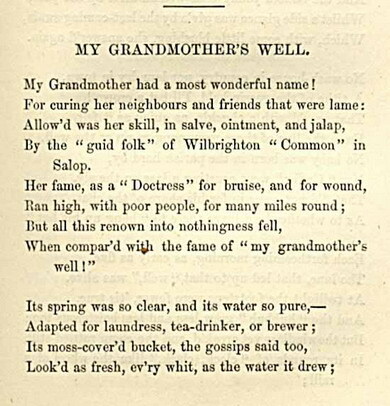 "My Grandmother's Well," published by J.H.R. 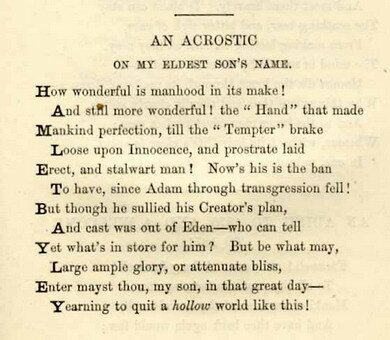 Bayley in a collection of poetry called Harvest Sheaves, places his grandmother in Wilbrighton, a small village in Staffordshire, giving us the connection we needed to Jane Bayley, his mother, who was born in Wilbrighton. 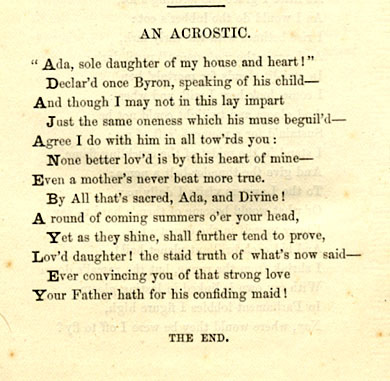 A copy of the book of poems was taken with Enoch Bayley's family to Australia as one of the family keepsakes, and it provides another connection to J.H.R. Bayley, Enoch's brother. This poem continues for two more pages. 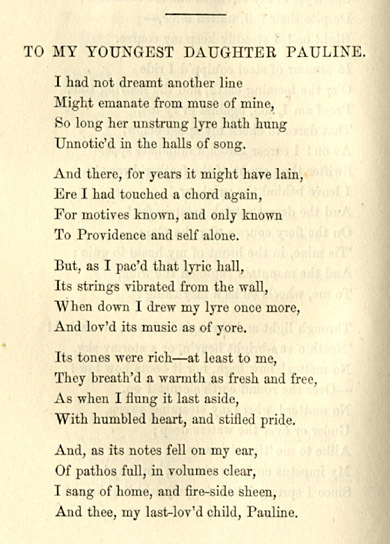 Poems are from the book Solon, An Historical Story of Ancient Greece...to which is appended Harvest Sheaves, by J.H.R. 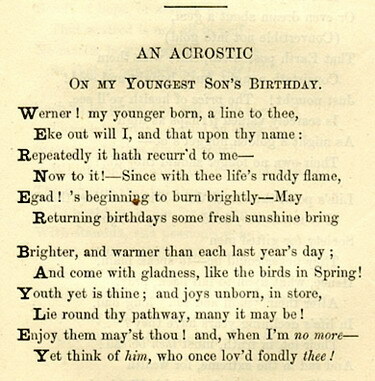 Bayley, F.C.P, F.S.A, published in Birmingham in 1871.